Gazillion Bubble Show is the most "unbubblievable" show in the world! Bubble lovers of all ages are delighted with an "incredibubble" experience, awash in a bubble tide, and may even find themselves inside an actual bubble. 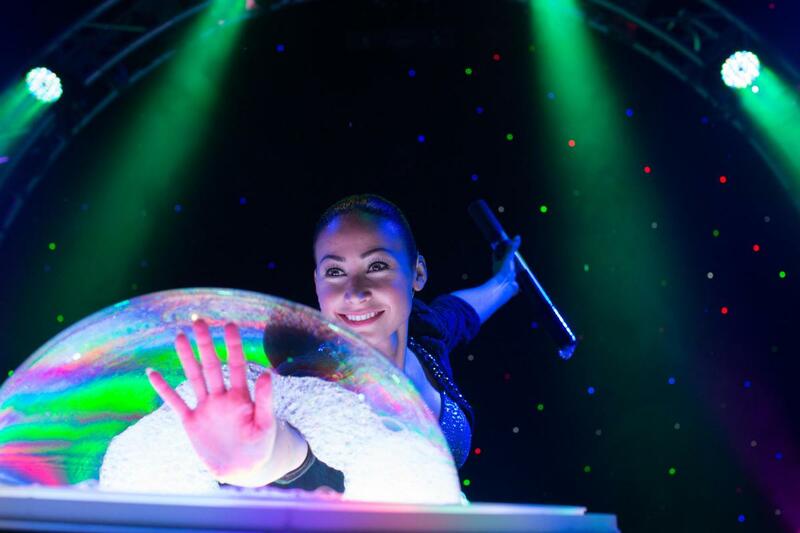 Mind-blowing bubble magic, spectacular laser lighting effects and momentary soapy masterpieces will make you smile, laugh and feel like a kid again.